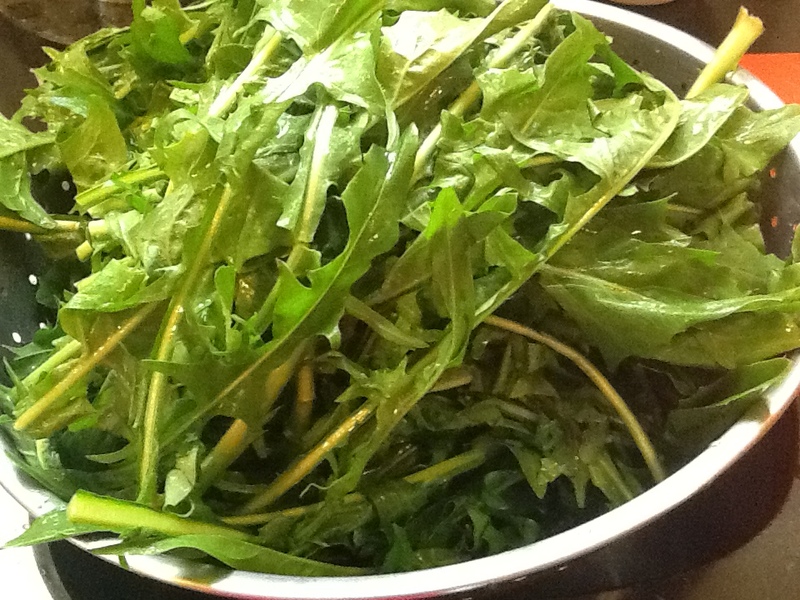 Dandelion greens, or “Cicoria” as we call them in Italian, are delicious and have many health benefits as well. I had a hard time liking this vegetable as a child because of their bitter taste, as well as my conception of them growing in our front lawn. Of course, they didn’t come from our front lawn, but I just couldn’t get this idea out of my head. I began to acquire a taste for them as I got older, and after my first trip to Italy, where they are served in most restaurants in many different ways, I have become slightly addicted to them. 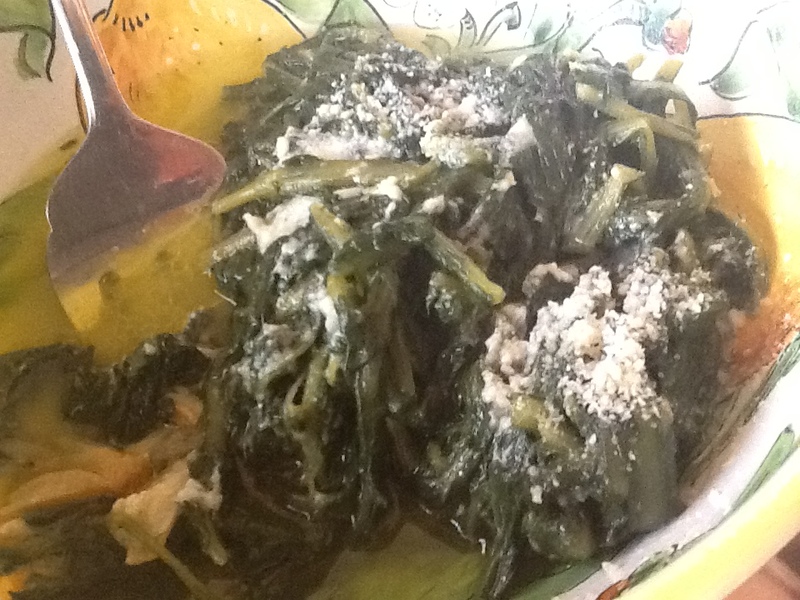 I also learned that my mother was right about these greens when she said that they are high in calcium and iron. I am delighted that they are now available in most supermarkets, so I can enjoy them as often as I like. 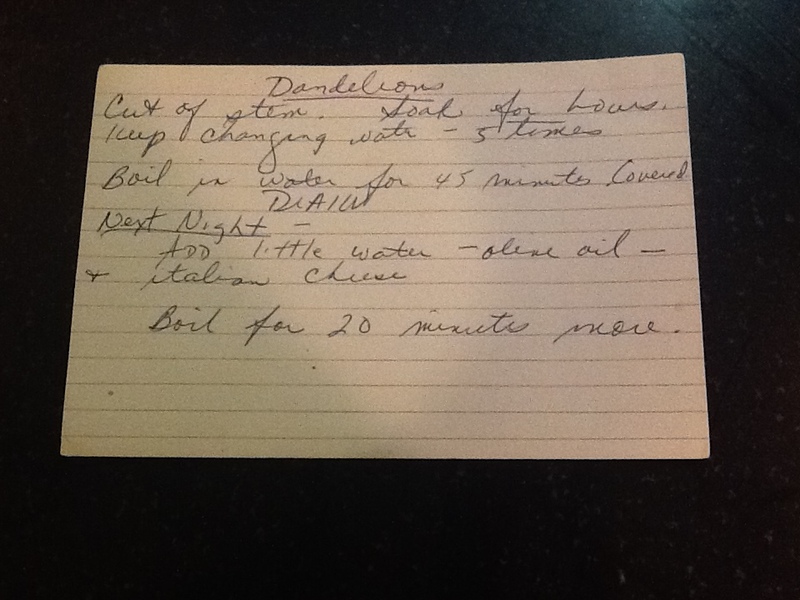 I have many recipes for dandelions…..a pesto sauce….with pasta…. with cannelloni beans, but my favorite way to prepare them is the way my mother did. Its simple, yet delicious, and the leftovers are just wonderful in an omelet. 1. Cut off the bottom part of the stems and discard. 2. Soak the dandelions in a large pot of cold water. They are usually gritty, so you will probably have to change the water at least 4 or 5 times to get them clean. 3. Cook in a large pot of salted water for 30 minutes. 4. Drain in colander. Gently press out excess water. 5. Heat oil in a heavy skillet over medium heat. 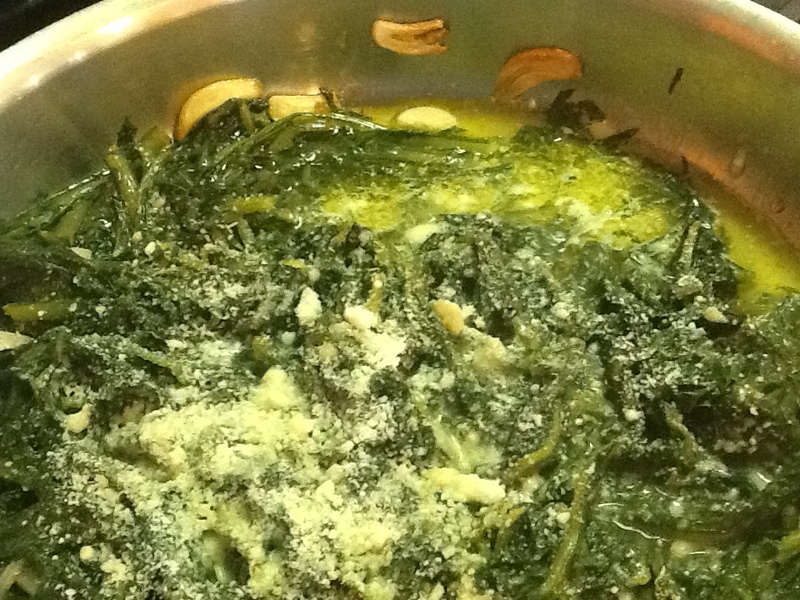 Add garlic and sauté until slightly browned (be careful not to brown the garlic too much as it will add too much bitterness to these already bitter greens). 6. 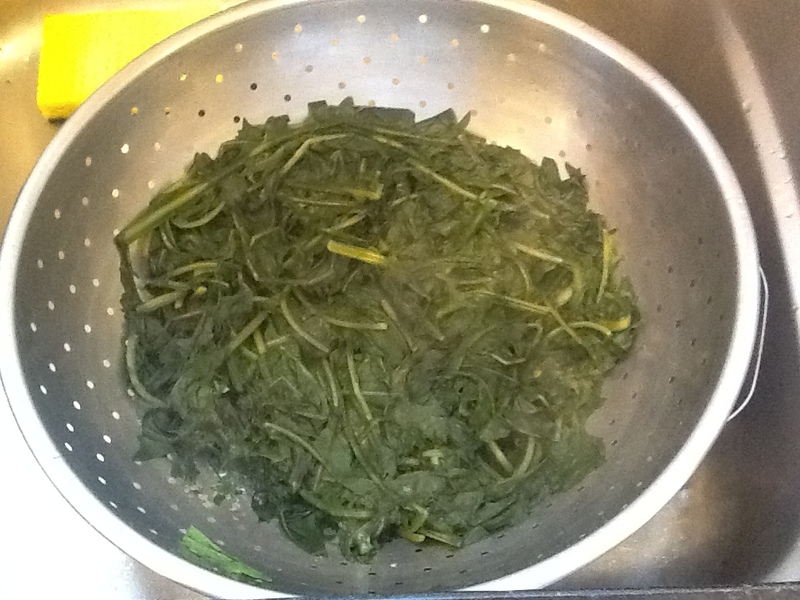 Add greens to the oil and coat them well with the oil by turning frequently for 5 minutes. 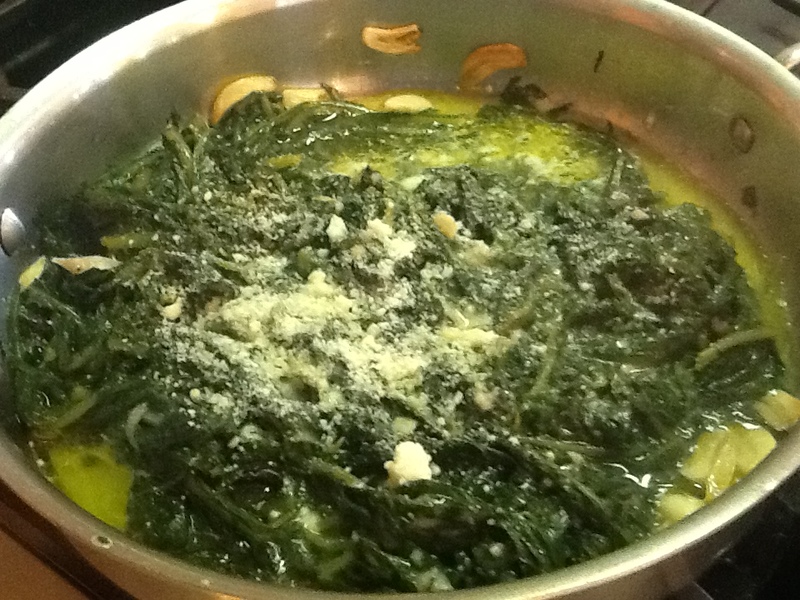 Add the salt and the grated cheese, and cook on low heat for approximately 15 minutes, stirring occasionally. 7. Add a little more grated cheese before serving. I hope you have leftovers for that omelet! !